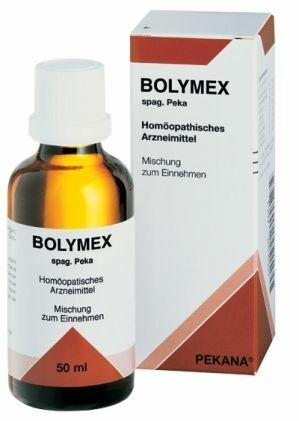 The new PEKANA BOLYM-EX 50 ml spag. oral drops providing benefit for Borrelia symptoms are now available from BioResource. detoxify the body by promoting proper excretion and immune function. BOLYM-EX spag. oral drops do not represent a standalone therapy or replacement for herbal or pharmaceutical antibiotics. Rather, the drops should be administered in support of a conventional medical or naturopathic treatment to help the body regain its balance. Throughout treatment of chronic borreliosis, it is strongly recommended that BOLYM-EX spag. drops be combined synergistically with other powerful PEKANA remedies, appropriate to each patient case. PEKANA recently introduced its new BOLYM-EX spag. oral drops for treating Borrelia symptoms to our US market. The drops combine 11 synergistic ingredients - including spagyrically processed Avena sativa 4X, Berberis vulgaris 5X, Capsella bursa-pastoris 5X, Daphne mezereum 8X, and Piper methysticum 10X - to help resolve joint inflammation & pain, alleviate severe fatigue, reduce neurological symptoms, relieve neuralgias eliminate uric acid, and detoxify the body by promoting proper excretion and immune function. "I see a lot of Lyme disease in my integrative practice, and, sadly, many patients present in the throes of severe neuromuscular symptoms," said Kristine Gedroic MD, ILADS member and founder of The Gedroic Center for Integrative Medicine. 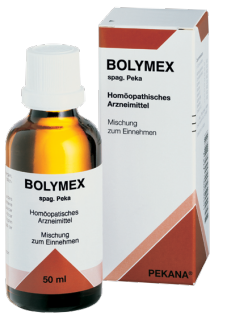 "The BOLYM-EX oral drops have been a successful addition to the PEKANA Basic Drainage Kit or early drainage remedies to help alleviate inflammation, paresthesias, and even psychic stress. We look forward to continued use of this remedy for patients that warrant it."